Ok friends! 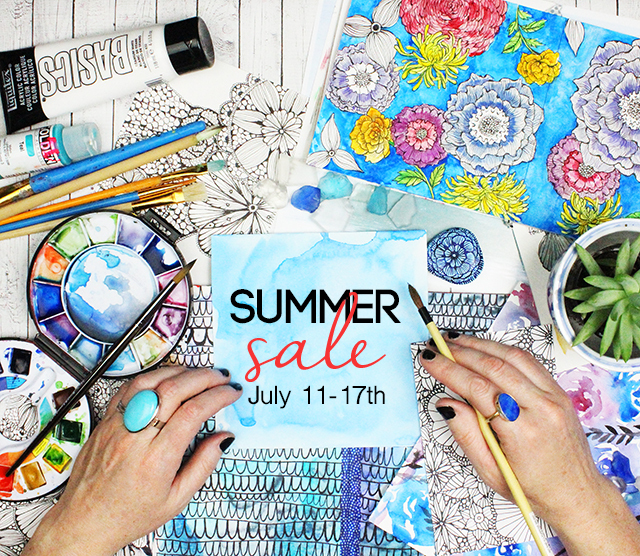 It's a tradition around here to have an annual summer sale so this week all of my online classes are marked way down. On top of low prices, I am throwing in my online class SUMMER SKETCH for all orders over $50.00. All prices are marked down over in the shop HERE. There are many online workshops out there at different prices with different content. Back in 2009, when I decided to offer an online learning option, I set out to create a structure that is similar to taking a "live" class from me. My mission is to provide an affordable class with a learning environment where you are watching lots of video demos, learning techniques and then creating on your own art. All classes are all filmed in my studio. Since 2009 I have been tweaking my gear and my process with the hope that video/photo will continue to get better and better. My #1 goal is to provide inspiring lessons and visuals that are easy to understand. 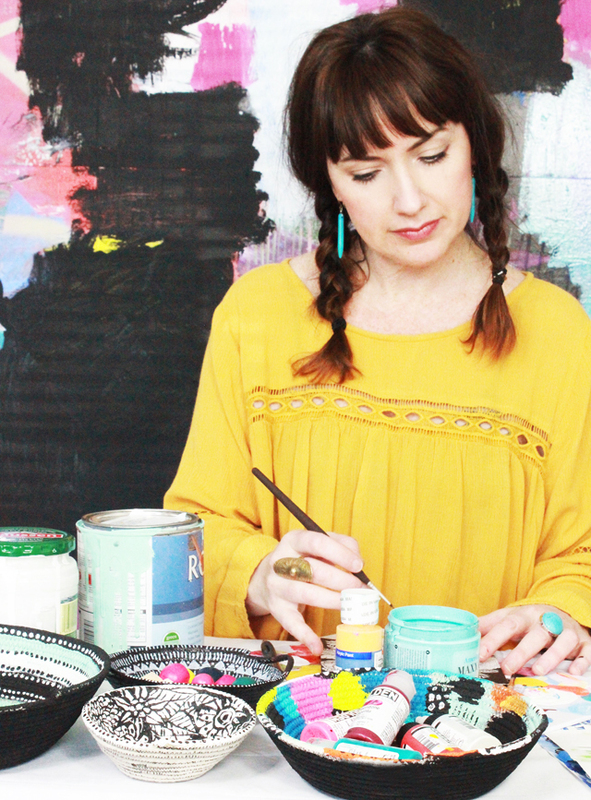 All of my classes have unlimited access which means once you register you can create and access at any time and work at your own pace. Whenever I "release" a new class- I release each lesson "live". Many people enjoy working in this format, as the lessons are posted each week but once all information gets posted there is unlimited time to access everything. I have found that some people prefer to work along with the live format when I release a new class, while others will wait months until they have the time, money and the schedule to register for the class. Either way works- just know that once you are in- there is no deadline or pressure to create. One question: I don't draw or paint or anything like this... Which class would you recommend for a very beginner? I have this same question! My daughter (9 years old) and I would like to do a class together this summer. Which one do you recommend for beginners? Hi Alisa!! 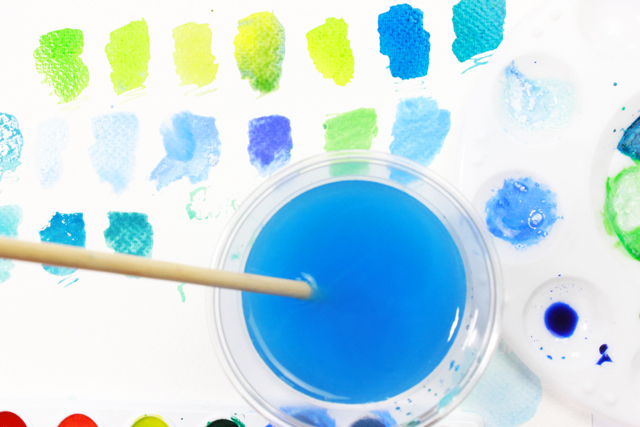 I am crazy about taking two of your online classes: Watercolor blooms and the traveler’s journal. I really love painting with watercolors, especially when it comes to flowers and memories. But I’m having troubles at buying the classes. PayPal asks me to have a credit card, but as a life philosophy I do not possess any, I do have a debit card, though. I did try to create an account using my debit card but the platform only allows to link US bank accounts and mine is from Colombia. I want to take those classes so badly, what can I do? Is there any chance for me??? I would appreciate any answer. Thank you!!!!!! Alisa, thank you so much for putting together these fantastic classes, and selling them at a really affordable level. I have booked four of your classes over the past two years or so, and each time I find that I get much more value than I had expected.